TheCakingGirl: A&C's Wedding Cupcake Favors! 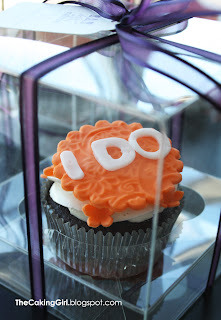 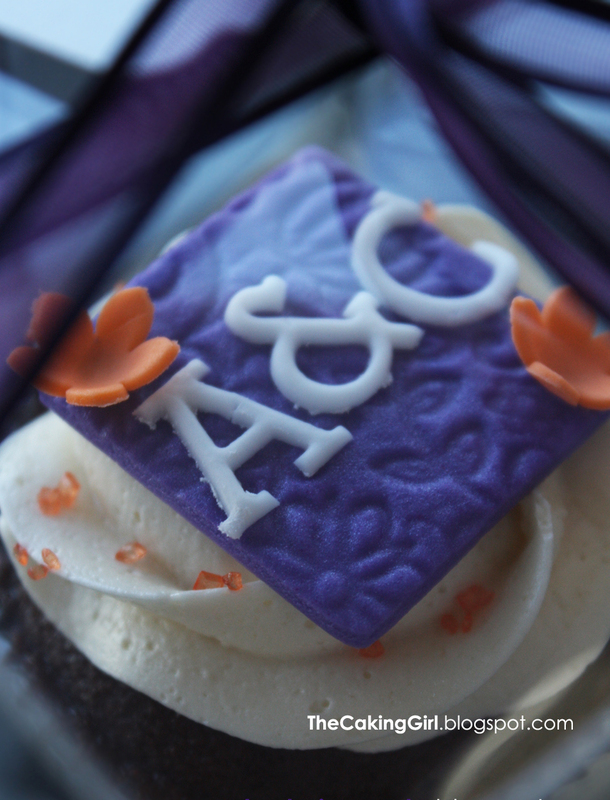 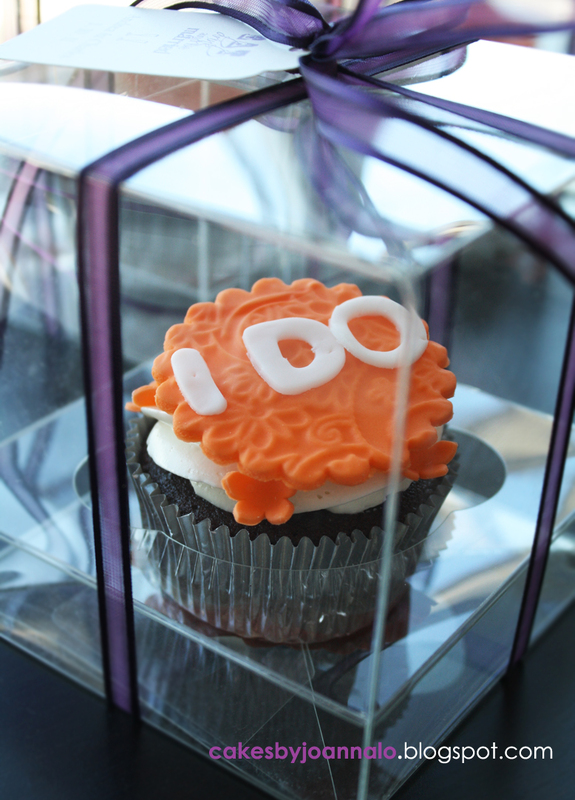 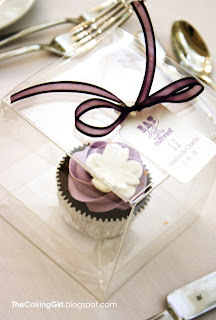 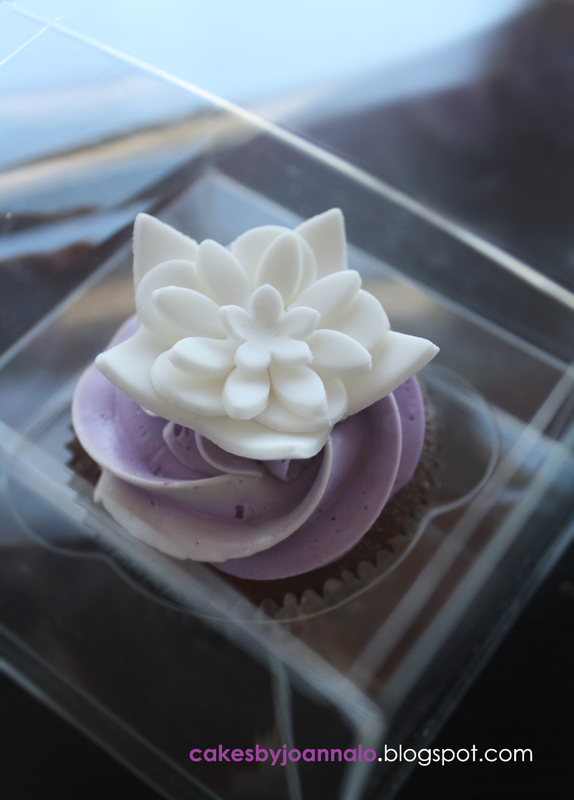 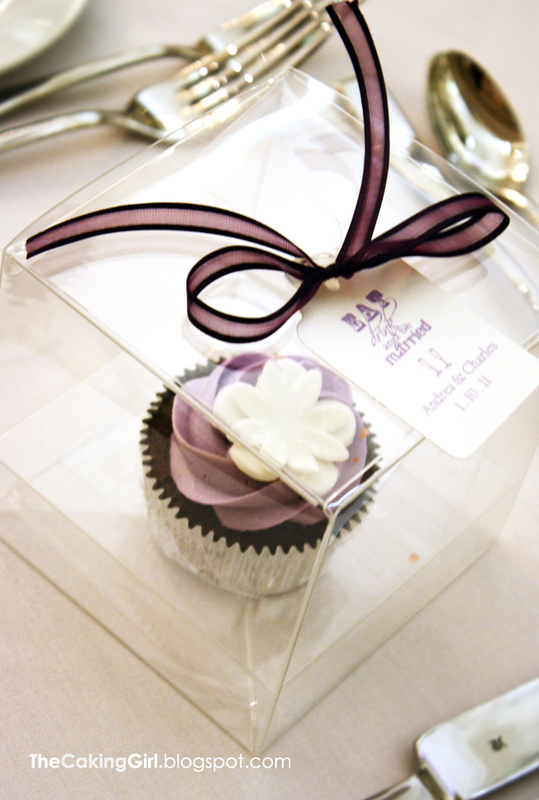 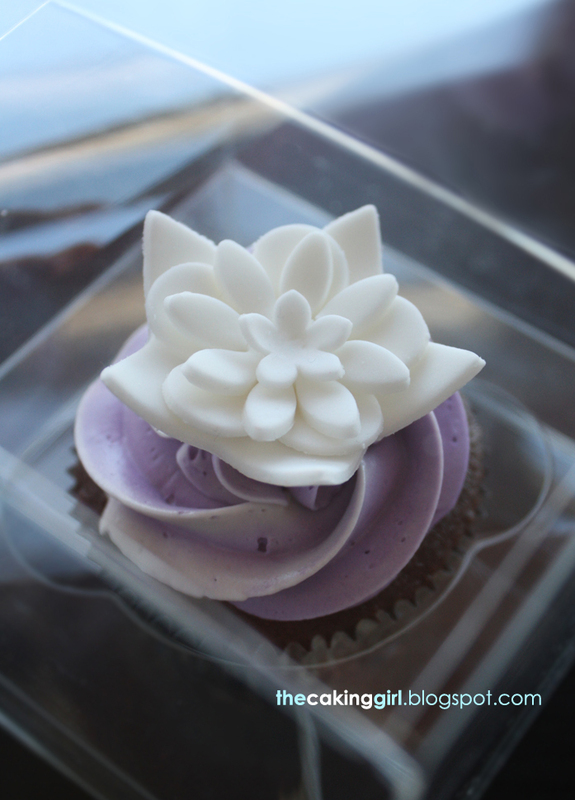 I had recently made custom cupcakes as wedding favours for A and C.
decors they had for the wedding. These were some of the flower decors at their wedding. 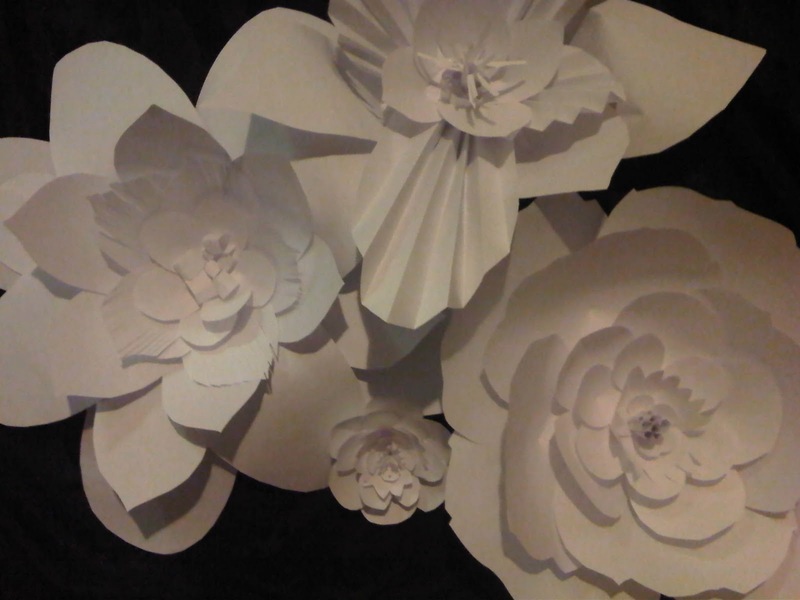 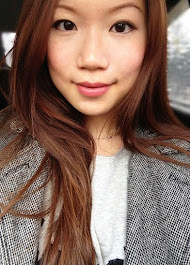 sizes and shapes and layered them together. 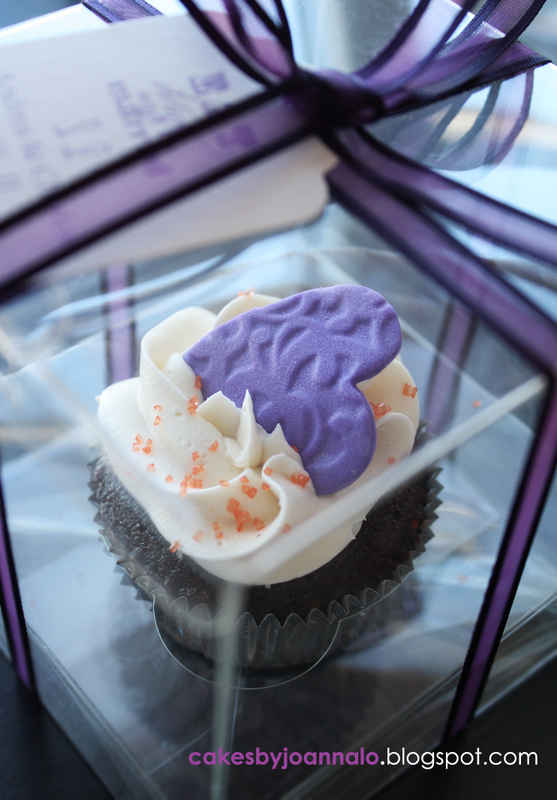 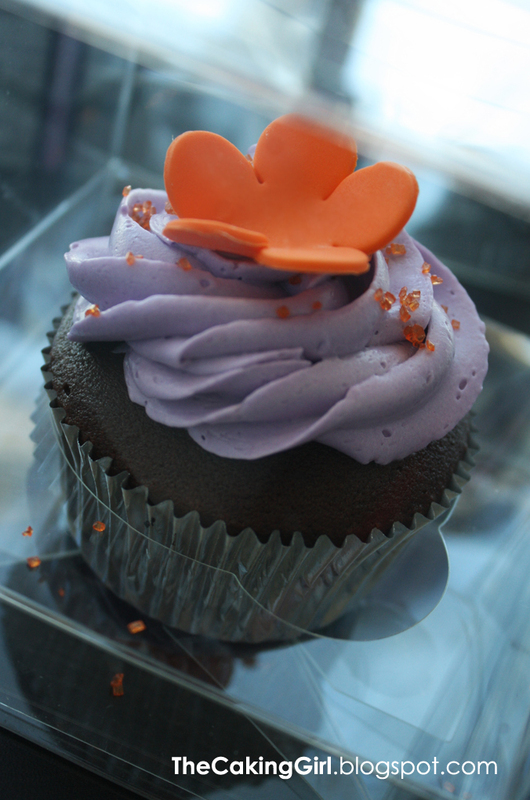 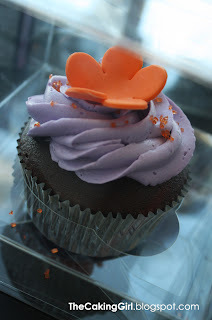 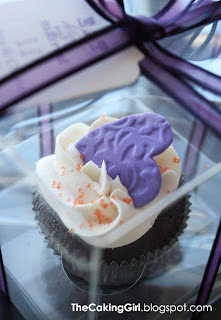 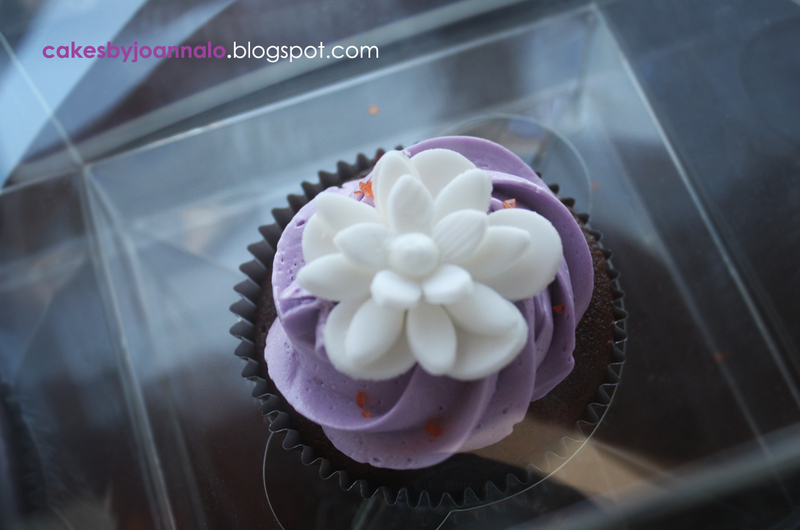 Some cupcakes had purple hearts with a floral design. 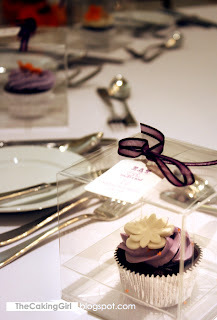 It was also my first time providing clear gift boxes with the cupcakes. 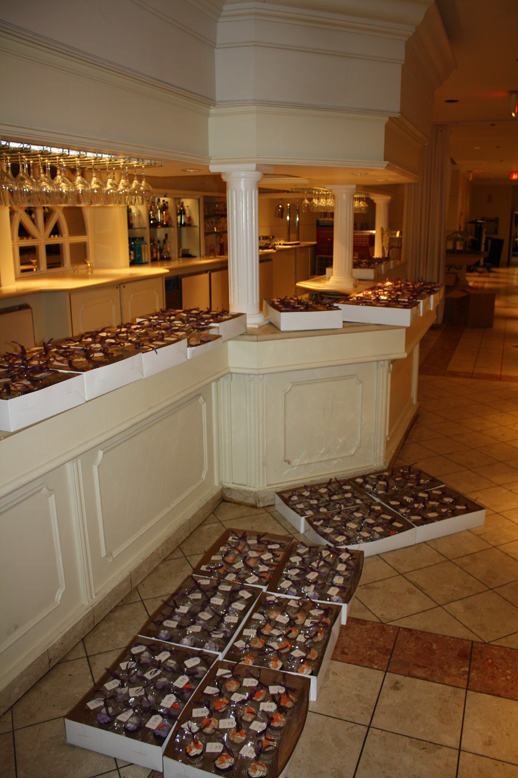 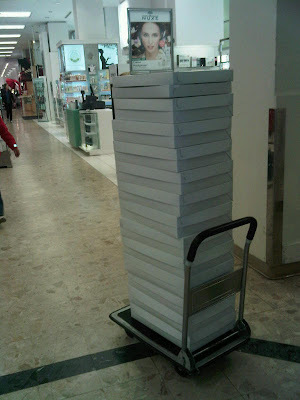 3 hours to put the cupcakes in and ice them, 1 hour to close the boxes and place the tag and ribbon on top. I underestimated the time and labour for these boxes! and this is what 300 of them looks like! 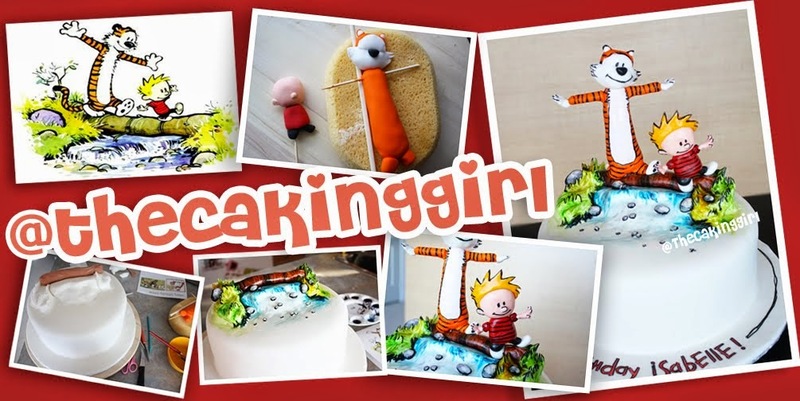 got to be a part of it!